And with that little revelation, normal service is resumed. I hadn’t climbed since that poor session at Plas y Brenin a fortnight ago until last night when i headed back to the Indy. I certainly wasn’t any stronger, although possibly more rested. To be honest, on my way i wasn’t any more psyched, particularly, merely armed with the knowledge that confidence breeds competence. My technique wasn’t any better and to be honest, my tactics remained largely unadjusted. The only difference was that epiphany. It is remarkable what a difference a subtle change in attitude can do. I finished my session with a 7b retro flash, of a problem i had almost managed last time, tickling the top before plummeting in what i now think may have been more ammunition for my self-perpetuating downward spiral. This time, it fell first time during the warm up. Next, another 7b that suited me perfectly, on Jenga blocks; it fell quickly and in good style. A break, that lasted a little longer than i intended preceded that send and after, i was looking for another to try. A friend offered up the project he was trying for me to have a go and, unexpectedly, i flashed it. I hate doing that and wouldn’t do it deliberately, sometimes that’s the way it goes. It did turn out to be useful for him, as my beta on the lower section avoided him using a knee that was causing him pain. I tried a couple of other problems without ever getting going, flashed a 7a+ with a bit of a fight and found myself sat under a 7b+ that really tickled my fancy. Andy had mentioned some hidden beta in it but i couldn’t really see what he meant so opted to jump on and see how it went. By the end of the session, when all energy had sapped from my body and it was obvious i wouldn’t complete it, i had managed it in two halves, one move away from linking it together. Aside from that, though, was the style of the crux move. 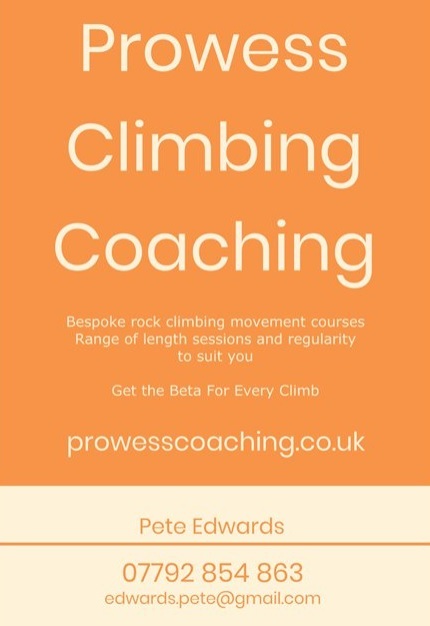 Without getting into the annoying move-by-move of the climb, the crux involved a tricky cross through that was hard to hold and a big move up with the right hand to salvation. It was more like two separate boulder problems stacked atop each other, the upper problem starting just before the crux. This was where Andy’s beta came in but i didn’t use it. Instead, i performed a move reminiscent of Johnny Dawes that flowed so beautifully, it stole the show of the whole session. Hands primed on the holds, left foot pressing hard on it’s own, i rested my right foot on a crimp too high to provide power… yet. Left hip went up and i snatched the next hold with my left hand but as my body then untwisted, i simultaneously pulled and pushed with my right foot that now suddenly engaged. In one seamlessly smooth motion, i completed both crux moves in one, cruising through to the easier moves above. I don’t know how it looked – an onlooker, a regular working the problem with me, seemed impressed – but it felt like pure bliss. It’s hard to describe and i really wish i’d caught it on camera as moves like that rarely happen, especially on harder climbs. It is something you’d see from Udo Neumann (above) or, as mentioned, Johnny Dawes and it is incredibly hard to perform or coach. The only reason it happened for me was purely subconscious. I was back, primed and fighting fit. 7a+ flash, 7b retro flash, another 7b in a session, 7b flash and a 7b+ in two halves would’ve been a very pleasing session when i was fully fit! So imagine this after the abject failure of two weeks prior. It just goes to show quite how important having the right mindset is on performance. Get it wrong and don’t get off the floor. 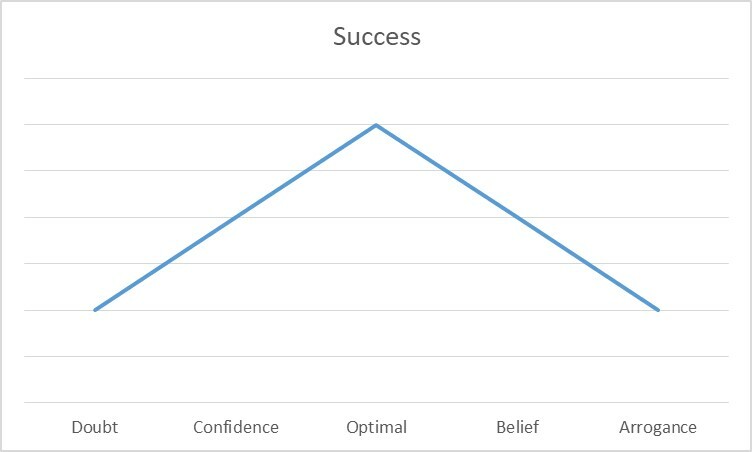 I can feel my confidence and my belief come back almost immediately, and i’m back in the golden spot on the DCBA scale that has proven so important for me in the past.